Launch of Cairo Studios, Shoreditch N1! Anton Page are pleased to bring Cairo Studios, N1 to the market. 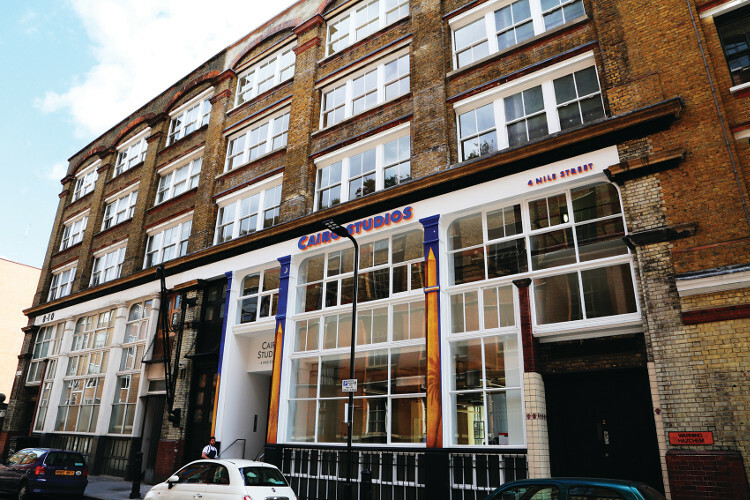 Located on Nile Street, Cairo Studios is a prominent Shoreditch building close to Shepherdess Walk and Westland Place, moments from the iconic Old Street Roundabout. This ‘tech belt’ area and the vicinity of Clerkenwell/Hoxton infamously attracts major occupiers from tech, media and telecoms sectors, with neighbours including Google, Amazon and WeWork. Cairo Studios is well connected with several means of easily accessible transport, with London Underground stations including Old Street, Angel and Barbican in close proximity. London Overground stations, Shoreditch High Street and Hoxton are also close, and links to the National Rail network are available via Old Street. The space available comprises of 5 floors totaling 9,839 sq. ft. and has been comprehensively redesigned by Archer Architects, a local Shoreditch based practice with extensive experience in the local market. They have perfectly crafted the space which is sympathetic to its use and history, whilst also having a modern finish. Being an old warehouse, the building is rife with character with features including original steel columns, exposed services, reclaimed and original wooden flooring and large industrial windows. As well as this, there are several contemporary attributes which serve the space well, including a brand new Mitsubishi VRF air conditioning system, modern suspended LED lighting, a new 6 person lift and a video entryphone system. With the above features and more, this prominent building fits in perfectly with the TMT sectors who so densely populate the surrounding area. Other high-profile, local tenants include Jamie Oliver, LK Bennett, Air BNB and Shoreditch Grind. With this, Cairo Studios is especially attractive to creative and tech tenants looking to establish themselves in the area.